Put the frosting on your promotions cake and order the Cupcake Postcard. This template comes in a convenient size to send or distribute to potential guests. 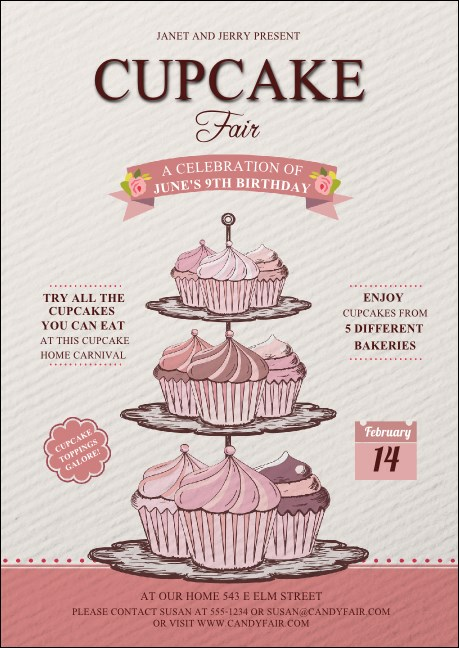 Printed on high quality card stock, this design features a rendering of a tiered serving tray with tasty cupcakes.